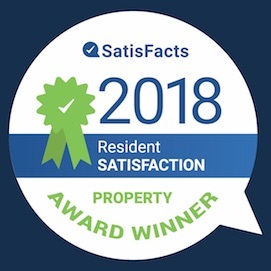 BETHESDA, Md., January 31, 2019– ROSS Management Services, a leader in multifamily property management in the Mid-Atlantic region, today announced that Satisfacts has named 9 ROSS communities as Award Winners for outstanding resident satisfaction scores in 2018. In order to qualify for the award, the communities had to receive a recommend score of 4.0 or higher and have at least 25 completed resident surveys. ROSS’s top scoring communities included, Charlestowne North, Cole Spring Plaza, Colesville Towers, Grandview, Heritage at Old Town, Horizon Square Apartments, Metro 710, Overlook, and Versailles.